A woman is suing the GW Hospital, one of the hospital's doctors and the Medical Faculty Associates on one count of medical negligence for allegedly botching a colonoscopy in 2016. 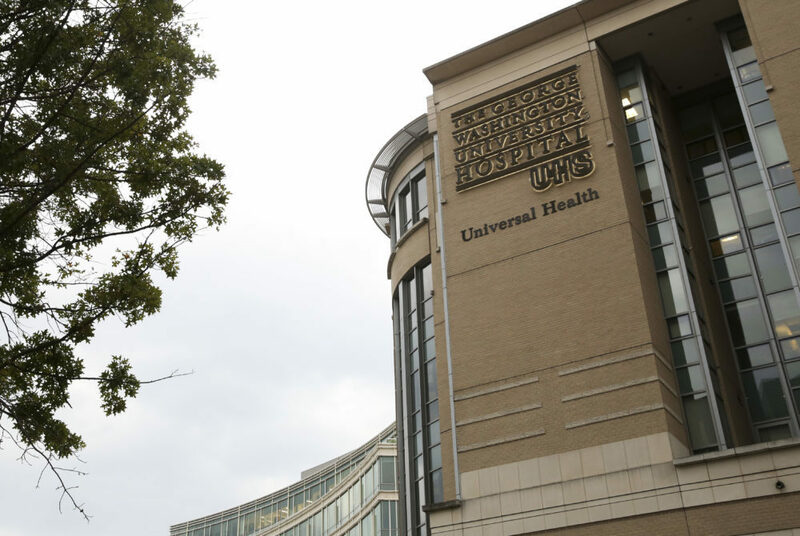 A woman is suing the GW Hospital, one of the hospital’s doctors and the Medical Faculty Associates for allegedly tearing her colon during a procedure and failing to recognize the error. Aleise James, a D.C. resident, filed a five-page complaint in the D.C. Superior Court Thursday claiming that Anita Kumar, her physician, perforated her colon during a coloscopy in September 2016. She alleges that Kumar, who continued to treat James into 2017, did not notice that she had punctured the colon and continued with the procedure, allowing air to enter the organ and causing James’ heart to stop for at least 14 minutes. James, represented by the D.C.-based law firm Paulson & Nace, is alleging one count of medical negligence and is asking for a trial by jury to determine the cost of damages, estimated in the suit to be more than $100,000. James, her lawyers, Kumar and a spokeswoman for GW Hospital did not return requests for comment. James alleges that after she was revived, she was transferred to the intensive care unit, where doctors found that she had high blood pressure and had a low volume of blood. Doctors then allegedly performed an exploratory laparotomy and found that she had a perforation and a 5 centimeter tear in her colon. She claims that she had to endure “several more” operations to fix the damage and was also found to have an anoxic brain injury. Before doctors found the perforation, she was in cardiogenic and septic shock, the suit states. James alleges that she lost income, mental capacity and a portion of her colon as a result of the mistake and has since been unable to “enjoy life.” She has also been responsible for thousands of dollars in medical and hospital bills, according to the suit.